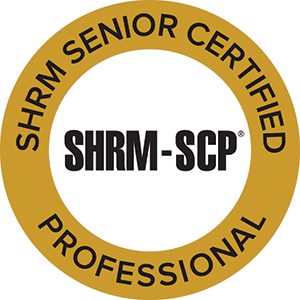 William H. Truesdell, SPHR, SHRM-SCP, President of The Management Advantage, Inc. has 52 years of management experience, the most recent 32 as president of this nationally known consulting firm specializing in employee management issues. He is the author of seven books and taught for six years as an Extension Instructor at the University of California in Berkeley. He is an expert in personnel policies, legal compliance for managers, equal employment opportunity, affirmative action and avoiding personal as well as organizational liability. or you are welcome to call him toll-free at 1+888-671-0404. Dr. Wayne Ford, Vice President of The Management Advantage, Inc. has worked and managed in numerous industries, accumulating over 45 years of management and supervisory experience. He has written eleven books, five on the subject of stress management. He earned his Ph.D. in management and has taught and lectured at the university level. He has written and lectured extensively in the areas of business and organizational management and leadership, as well as healthcare, stress management and process sustainment. Michele Barreuther, Administrative Assistant, The Management Advantage, Inc. Michele joined our firm in February 2000 after starting her family. Her son and daughter used to come to work with her each day. Michele is available to answer your call. or you are welcome to call her toll-free at 1+888-671-0404. We shall support clients meeting their objectives by providing professional, timely service and the highest quality product to client businesses in the subjects of personnel management, management skills training, personnel policies and legal compliance issues. Deliver more than we have promised, or deliver earlier than expected by the client. Repair any misunderstandings so the client has the advantage. Deliver timely service, recognizing that service which is too late, isn't of much service. Since 1987, we have been serving clients in California and across the country. We specialize in the unique legal compliance requirements related to managing employees in today's work environment. Our firm has worked with employer organizations ranging in size from those which are very small to those among the Fortune 500. Our focus is on issues associated with labor code requirements, equal opportunity laws, affirmative action regulations and the management skills necessary to meet those requirements. Since we are experienced managers and not attorneys, we offer the practical viewpoint of what works combined with the knowledge of what is required. Our training programs have been used by some of the most prestigious companies in business today. All of our training materials are custom designed. Our consulting services include expert witness work for some of the country's top law firms. We investigate employee discrimination complaints and recommend remedies where appropriate. We develop and explain affirmative action programs for clients across the country. We assist them in many cases with implementation training for executives and managers. We also provide on-site consulting support for Department of Labor compliance reviews of affirmative action programs. One-on-one executive and employee coaching is another of our specialties. Sexual harassment prevention is often the subject. We would be pleased to serve you by helping you reach your objectives.